This podcast is produced by Ronald Bleday, MD and Jeffrey A. Meyerhart, MD of the Colon and Rectal Cancer Program at the Dana-Farber/Brigham and Women's Cancer Center in Boston, MA. Ronald Bleday is section chief of the division of colorectal surgery and program director for the colorectal fellowship at Brigham and Women’s Hospital (BWH) and Dana-Farber/Brigham and Women’s Cancer Center (DF/BWCC). In addition, he is an associate professor of surgery at Harvard Medical School. Dr. Bleday received his medical degree from McGill University School of Medicine and completed a surgery residency at Brown University School of Medicine and a surgery and trauma residency at Rhode Island Hospital. He completed his surgical oncology fellowships at Dana-Farber Cancer Institute/Brigham and Women’s Hospital and New England Deaconess Hospital/Harvard Surgical Service, his surgical endoscopy fellowship at Massachusetts General Hospital, and his colon and rectal surgery fellowship at the University of Minnesota. Dr. Bleday is board certified in both surgery and colon and rectal surgery. Boston Magazine named him one of Boston’s best doctors in 2014. The author of over 50 peer-reviewed publications, Dr. Bleday’s research focuses on the American College of Surgeons Oncology Group (ASCOSOG) local excision study, stool-based biomarker research, laparoscopic vs. open colectomy, and tumor bank accrual. Dr. Bleday has clinical interests in anorectal surgery, cancer surgery, colon disease and surgery, Crohn’s disease, diverticular disease, laparoscopic surgery, rectal surgery, sphincter sparing surgery, and ulcerative colitis. For more info on Dr. Bleday, his work, practice and other projects click here. Find him online @ronaldbledayMD. 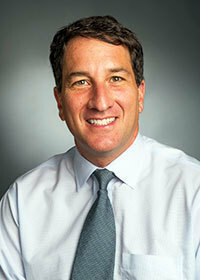 Dr. Meyerhardt received his MD from Yale School of Medicine in 1997. He completed a residency in internal medicine at Beth Israel Deaconness Medical Center, in Boston, followed by a medical oncology fellowship at DFCI. He joined the Gastointestinal Cancer Center at DFCI in 2002 and became an assistant professor of medicine at Harvard Medical School in 2004. Meyerhardt has a strong interest in the influence of diet and lifestyle on outcomes among patients with colorectal cancer. He has led recent research projects of the influence of diet and lifestyle on outcomes in early-stage colorectal cancer patients, and he has been involved in studies of physical activity, diet, smoking, obesity, weight change, COX inhibitors and vitamin D in colorectal cancer survivors. Based on these studies, he is now the principal investigator of a national randomized trial (CALGB 80702) that will test celecoxib as he has led multiple phase II trials for gastrointestinal cancers and is the principal investigator for an ongoing NCI-sponsored phase III adjuvant therapy for stage III colon cancer. He also serves as a Project co-Leader for the Gastrointestinal Cancer SPORE of Dana-Farber / Harvard Cancer Center, studying molecular pathways associated with sensitivity and resistance to monoclonal antibodies against the epidermal growth factor receptor for colorectal cancer. Dr. Meyerhardt is member of the Editorial Board for Journal of Clinical Oncology and served as a Guest Editor for a special issue on Hosts Factors and Cancer Prognosis. He has presented nationally and internationally and published extensively on related topics in peer-reviewed journals and book chapters. Dr. Meyerhardt is also ad hoc reviewer for numerous clinical journals, including Journal of the National Cancer Institute, Annals of Oncology, and Lancet.